Yes, it can be cold and grey in the Devon winter, but most of the time it’s more fun being out in the weather than looking at it through a window pane (the exception to this rule being torrential rain or gale force winds when it may be better to stay inside by the fire with a good book). 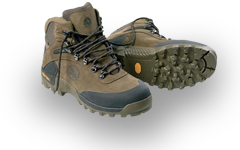 The secret ingredients to a successful winter walk? Enough weatherproof clothing and a cosy pub or tea room to visit at the end. Here’s five of my favourites on Dartmoor. 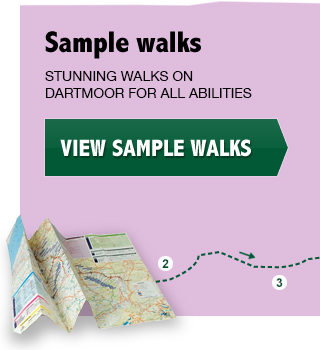 It’s essential to have a Dartmoor OS map in order to follow these walks. To find out more about regular walks, sign up here to to my newsletter mailing list, or email me to arrange a guided walk to suit you. 1. Redwater Brook & Challacombe Valley, starting and finishing at the Warren House Inn. This is a high moorland walk of spectacular scenery, best undertaken when visibility is good and risk of serious rain is low. There’s a network of well trodden paths that will take you past ruined tin mines, miners’ gullies, old rabbit buries, a prehistoric stone row and village, a medieval settlement, and spectacular viewpoints such as Birch and Hookner Tors. The cosy Warren House Inn serves food all day (meals rather than cream teas, so bring a good appetite) and its fire has been burning since 1845. 2. Bovey Valley woodlands: If it’s quite misty and/or it’s been raining a lot, this is an ideal walk as it goes through beautiful woods and alongside rivers that are bursting with water and vitality at this time of year. For the energetic, you can start in Manaton and take your pick of well-signed footpaths to Lustleigh (a good route is via Foxworthy Bridge and Hammerslake on the way there and then return via Rudge and Hisley Wood). Have lunch at The Cleave in Lustleigh which serves food all day. Or you can start and finish in Lustleigh (walk to Hammerslake, down into the valley and across the river, then return via Hisley) – as the pub serves food all day it doesn’t matter how late you get back for your meal! 3. Teign Valley: This is another selection of lovely woodland/riverside walks for a drizzly day – though it’s lovely in sunshine too! Parking at Fingle Bridge, you are spoiled for choice. You can go westwards on the high route (Hunter’s Path) which gives you fabulous views of the Teign gorge and the high moor to the west, then return alongside the river on the Angler’s Path. On this route you will pass a number of giant photos suspended in the trees as part of the Teign Spirits exhibition. Or you can go upstream on the Angler’s Path, cross the river at Whiddon Park or Dogmarsh Bridge and return on the other bank. Or you can go eastwards through the newly acquired woodlands, going uphill first to visit the Iron Age hillfort, Wooston Castle, and then return along the river. Afterwards the Fingle Bridge Inn will serve you a cream tea or snack up until 5 pm, or lunch until 3 pm. 5. Hameldown: This walk can either start at Widecombe, for those that like a good hill climb, or up on Dunstone Down for those that don’t. For the former option, walk a short distance north on the Natsworthy road and take the second footpath on your left. For the latter, drive up the Southcombe Hill and start in the parking area at the top. Either way, you’ll end up walking northwards along the Two Moors Way with some of the best views in all Dartmoor on either side (don’t do this walk on a murky day!). Along the top are a series of prehistoric burial sites. This walk goes as far as Two Barrows, then turns left alongside the wall to descend into the Challacombe valley (the energetic can carry on as far as Grimspound and join the lane there). Turn left on the lane and follow it back as far as Blackaton Cross where a lovely old track climbs gently back up Hameldown. Widecombe walkers carry straight on when meeting the Two Moors Way again to take a different path back down to the village. The others turn right to get back to the car. Then go to the newly refurbished Café on the Green in Widecombe for a fabulous tea or late lunch, open until 4.30 pm every day.